If you are thinking about integrating a pet into your new home with children or have already done so and are expecting a child, you may wonder how the cohabitation between children and animals will go. By reading this post you will find some tips for a healthy lifestyle all together that will bring benefits to everyone! A dog can be a child’s first friend and inseparable partner during its growth period. Together, they will learn to care for each other, love each other and play multiple games together. However, to achieve this, it is very important to cultivate a good relationship, starting with the basics. During their first encounter, we must let the dog carefully sniff out the new family member and let him understand that he is an extra member. We must keep as much as possible of all the activities we did with him (walks, ball games) and integrate him into the new daily activities so that he assimilates the change well and does not feel rejected. It is important to also show the child that the companion is an extra member in the family and he needs time. We have to learn and give tasks to do to our childlike brushing or helping daily to serve food to our dog or cat. So the little one will have small responsibilities. Our child must also learn when to play and when not to disturb our animal, because every action has its time. During the time when the dog sleeps or eats, the little one should leave his space and not tire him. This situation also has to happen in both directions, as it is important that the dog learns what are the times when he can have fun with his friend. Develop the immune system: Children who live with animals are less likely to have allergies or asthma because they develop a stronger immune system. It is thanks to the fact that the body becomes accustomed to fight and live with the bacteria that the dog can have and strengthen its defenses. Emotional bonds: As we said earlier, a dog can be the child’s first and best friend. With him, he will develop his intuition and a non-verbal mode of communication with caresses, gestures, hugs and various games. 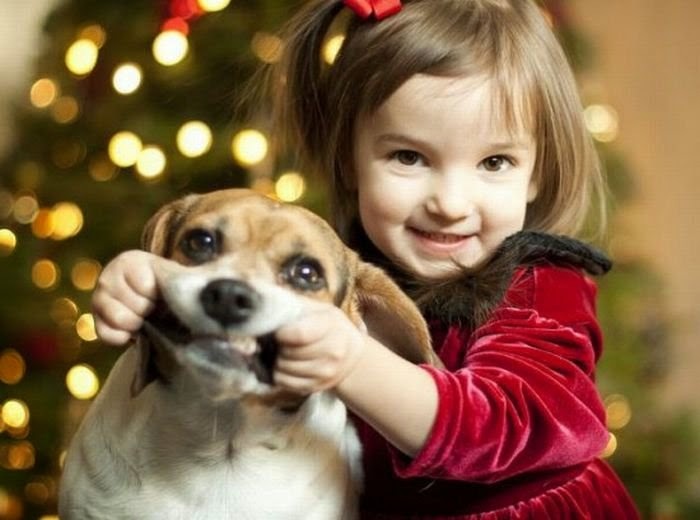 It is said that children who have ties to their pets also tend to be more affectionate to others. Value: There are a lot of things we can learn from our animals. The first and most important is empathy and respect towards others. Caring for an animal makes us understand it and discover how it feels. It will then help the child to understand other people as well and to be more generous and tolerant. It may have conflict situations caused by different factors. It is very important to identify them and to overcome the problems that can hurt one or the other. If we have a small animal (puppy or chestnut) that is used to playing with the soothing child of the house, it is likely that his excitement and his too much energy push him to hurt, without wanting to, with a little bit of a scratch. It is important to train and show our animal to play properly and by controlling its impulses. Other situations are due to the stress of the pet so it barks in a very marked way. Many times we forget to teach our children to respect the space and rest of the dog, and we cause him to get tired and react aggressively. The animal can also have a bad behavior due to jealousy or lack of socialization in its first months of life. All these factors can be reduced and corrected with the patience and help of an educator. We need to learn to recognize the symptoms that are signs of these types of attitudes: spiky backs, drooping ears, low tails or growls. We are convinced that the company of a SuperPet will always compensate all the work and dedication that implies this responsibility. A cat or a dog is a companion for life with whom we can learn many things. They are sincere and although they can be the source of hard work, they always show us loyalty and unique and unconditional love. May our children also enjoy life at their side, may they grow stronger and be better people!